We bring forth advanced Motorized Pad Printing Machine, which is an electric machine. 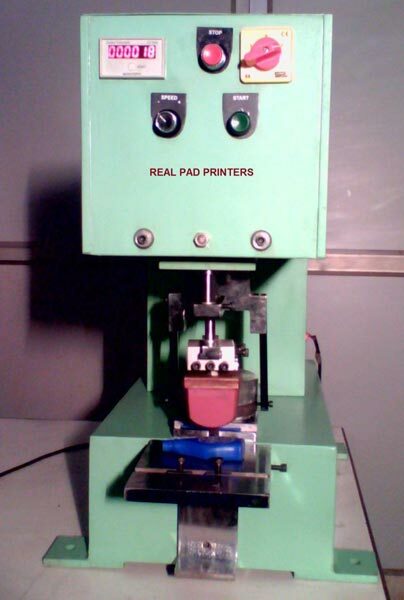 The Motorized Pad Printing Machines are quite efficient as they ensure nil wastage of ink during printing. Moreover, the less consumption of ink makes them highly cost effective. These machines do not require air compressor and cleaning of ink every day. Our user friendly machine requires low maintenance, which reduces the operating cost to substantial level. These machines can print on pen, TV covers, electrical buttons, fan, canopy, industrial part, dials, household items and many more. Moreover, the use of different ink can make the machine print on plastic, glass, metals and ceramics.